Saturday morning we fired up the car early for a road trip to Anacortes. 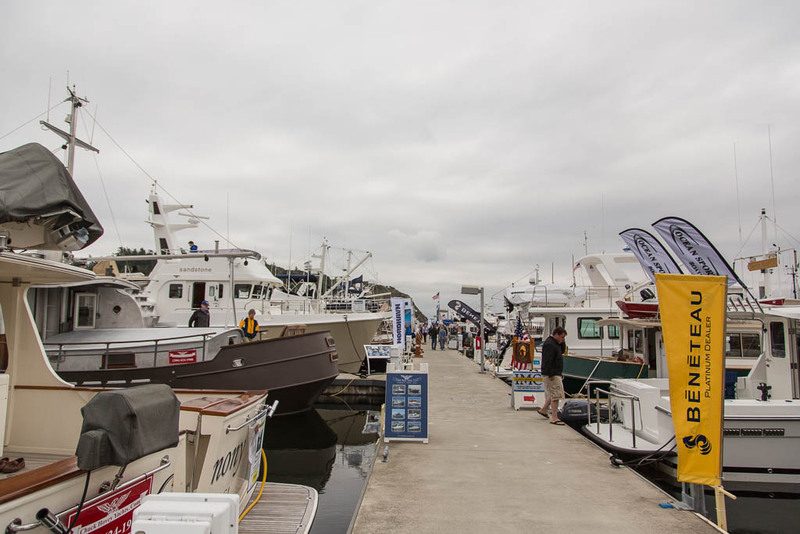 It is time for Passagemaker Magazine’s Trawlerfest. We drove to Port Townsend, hopped on a ferry and drove up Whidbey Island. It was a nice drive and the first time we have passed this way. 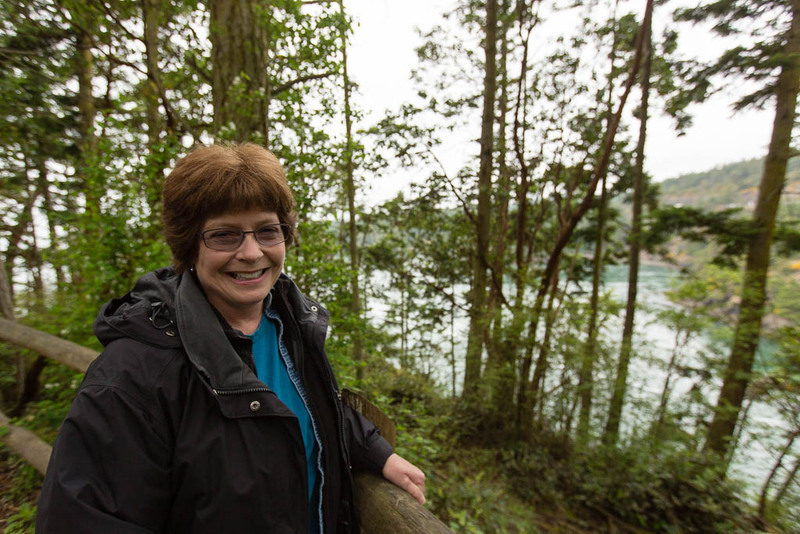 Here’s Kim grimacing ’cause I insisted on taking her photo when we stopped at Deception Pass. She doesn’t like me pointing a camera in her direction. I know it looks like a smile, but it’s really not. She’s just had a lot of practice over the years. And speaking of years, Saturday was our 34th anniversary! That’s a lot of practice. 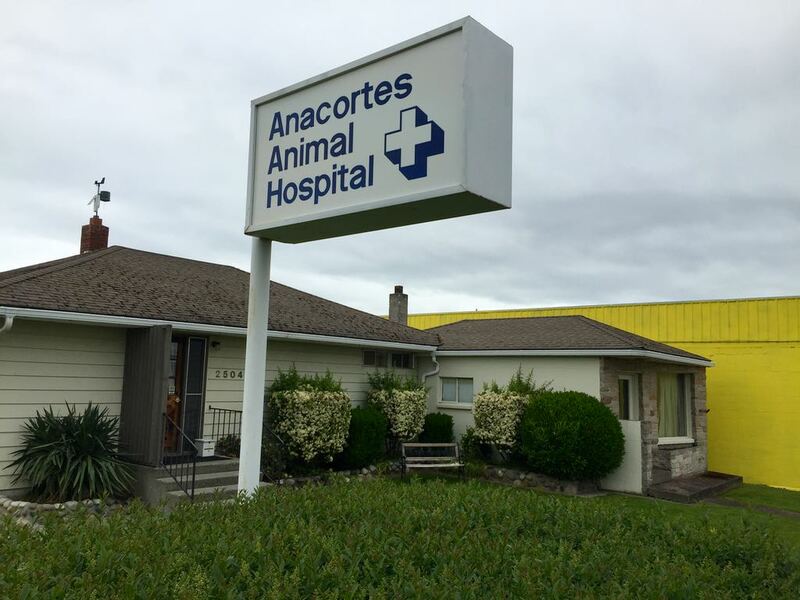 I lived in Anacortes a long long time ago. My dad was the only veterinarian in town in the late 50’s – early 60’s. We lived in the house part on the left. The clinic was the smaller part on the right. 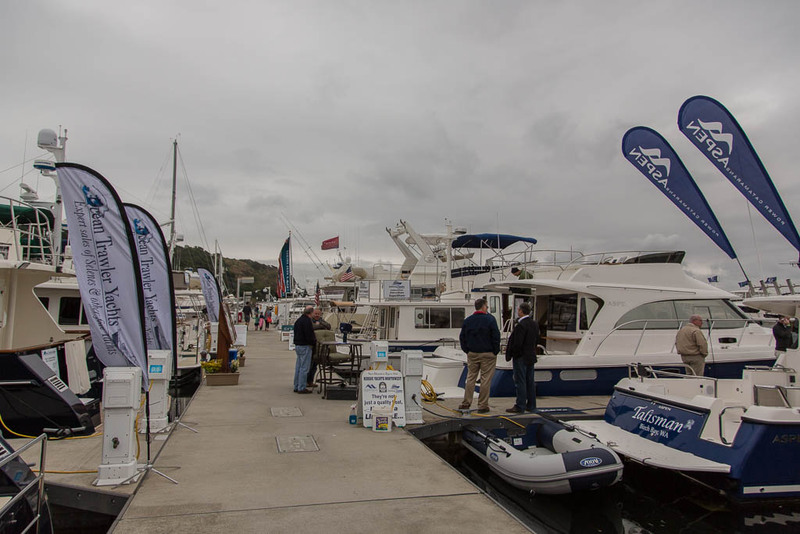 We walked the docks, climbed around on some boats, and talked to a few folks. That’s about it. By then it was time for a late lunch. If we had planned a bit better, we could have attended a seminar or two. Maybe next year. Here’s a few photos from the show. 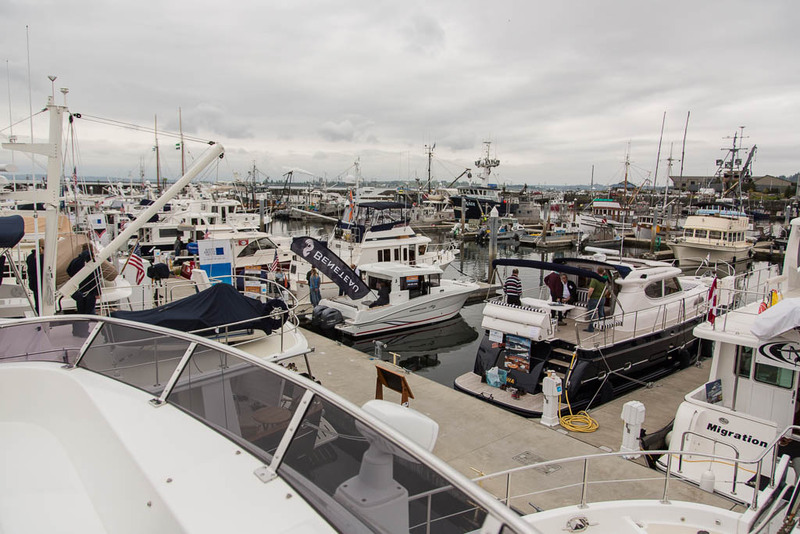 I could get used to the view from the flybridge of this Nordhavn 47. A very nice boat. 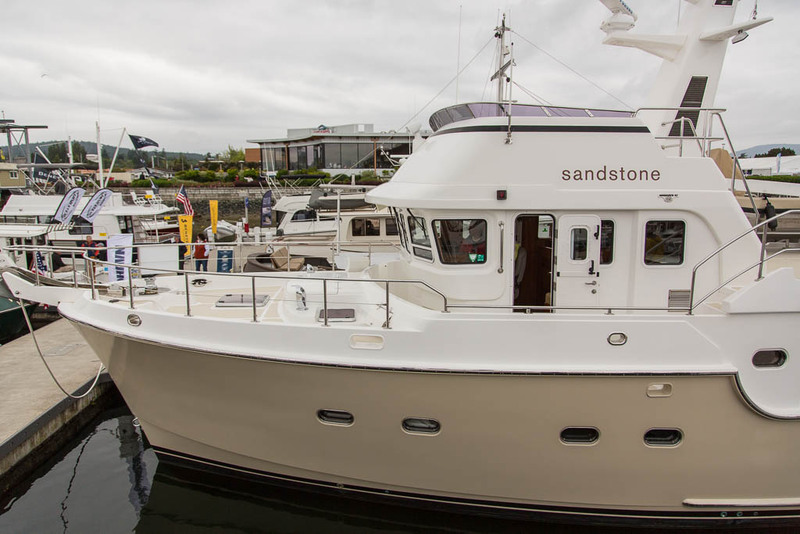 Kim wants a Fleming 55′, I want a Nordhavn 55′. I told her I would relent and she could have a Fleming, but we would have to get a 65′ instead. It’s all academic though unless we win the lottery or discover a long lost rich relative. I’m adopted. It could happen. 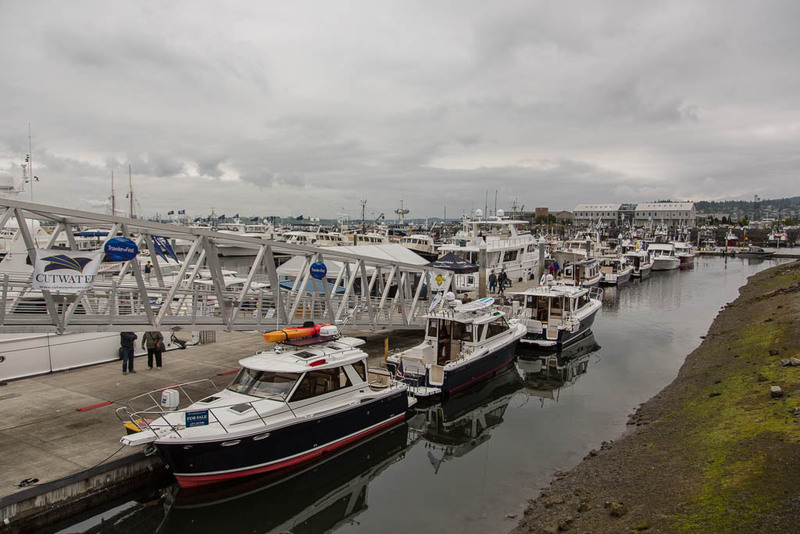 We also spent some time talking with our favorite yacht broker, Matt Maynard, owner of Irwin Yacht Sales in Seattle. 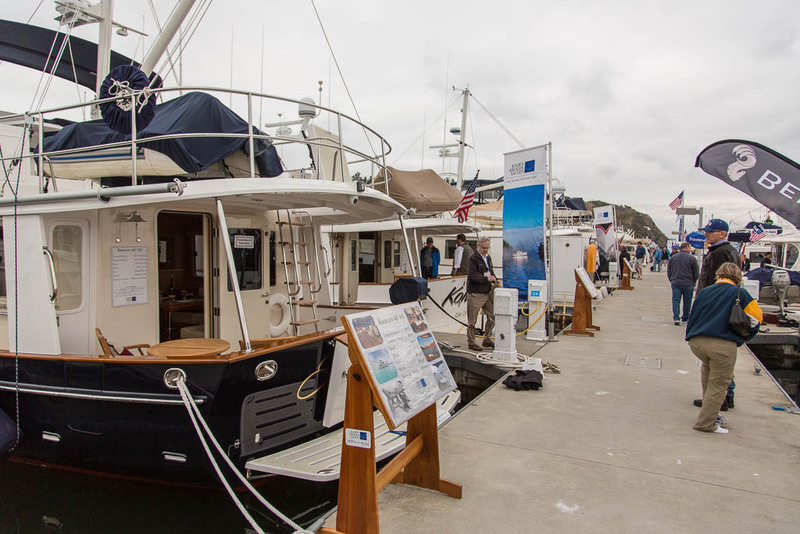 He had a nice 48′ Navigator at the show. Kinda surprised me to hear someone yell my name. I didn’t expect bill collectors at the show and we don’t really know anyone there. After lunch we popped back down to the ferry and back to Port Townsend. Then back home. A nice day. It’s great living in the Northwest again. 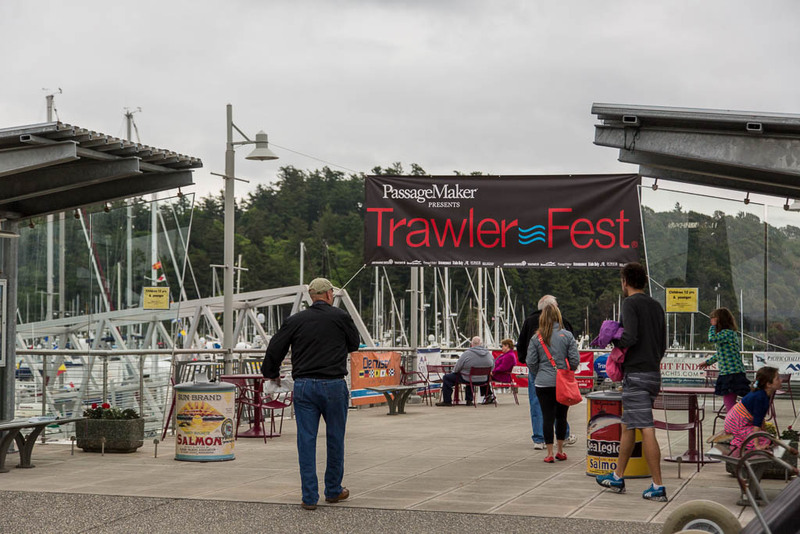 This entry was posted in Destinations, Gear, Interesting and tagged Anacortes, Archimedes, boating, Coupville, Ferry, Fleming, Fleming 55, Fleming 65, Grand Banks, Grand Banks 42, Nordhavn, Nordhavn 55, Pacific Northwest, Passagemaker, Passagemaker Magazine, Port Townsend, Poulsbo, Puget Sound, Salish Sea, Trawler, Trawlerfest, Trawlerfest Anacortes, Washington, Washington State Ferry, Whidbey Island, WSF Salish by Rusty. Bookmark the permalink.